Vegetables bulk up the menu, and the good news is that everyone can eat them. Serve lots of olives, tiny tomatoes, sliced cucumbers and peppers, artichoke dip, salsa, guacamole, hummus, and all kinds of salads if it’s a knife-and-fork affair. Here are vegetable dips I like because they all work for vegans, whose eating pattern is the most challenging to accommodate. 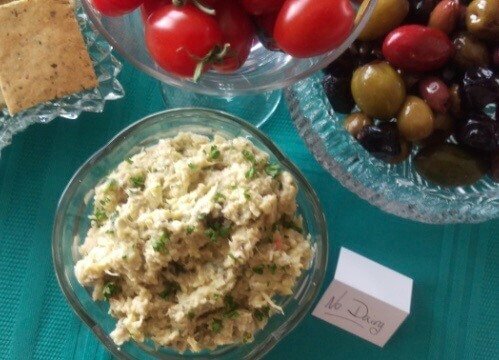 Artichoke Green Olive Dip is a treasure because it’s made without dairy, a rarity in the world of artichoke dips. This gives dairy-sensitives an unexpected option, so a tent card is helpful. Easy Hummus has only a few ingredients and is as simple as the name promises, though you can simplify even further by buying your hummus—there are lots of good Middle Eastern delis around. Lemony Herb Veggie Dip is interesting and tasty. They recommend making it the day of the party because the red onion might turn it pink, but there’s no reason you can’t use white onion and make it the day before. Liver pâté is welcomed by the paleo crowd. You can buy good pâté in many delis and health food stores. But if you fancy making your own so you know exactly what goes into it, this Sage and Chicken Liver Pâté is extraordinary. Cheese works for all except vegans and folks with dairy sensitivities. Goat cheese is always appreciated because it’s easier for some to digest. And for the rest of us, it just plain tastes good! Nowadays both soft and hard varieties of goat cheese are readily available. A small tent card helps anyone specifically looking for it. 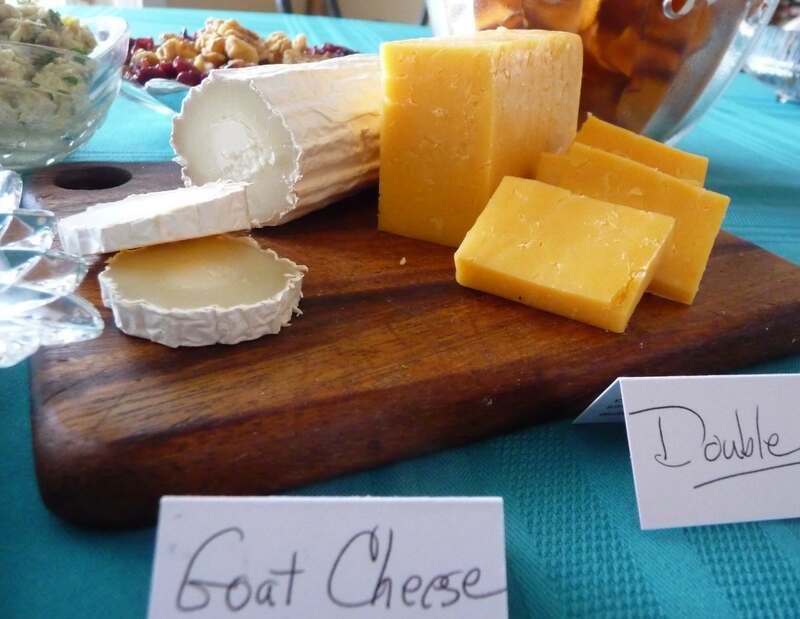 But identifying cheese is fun in any case, if you’ve bought some unusual types for the party. Nuts are a main protein source for vegans, and you can always put out a couple types as they come from the package. But if you want to jazz things up, try these easy-to-make Candied Macadamia Nuts. Vegans also rely on beans for protein, so both hummus and the lemony herb dip (above) will serve as protein sources for them. Provide foods for dipping and spreading. The first thing we think of is crackers. 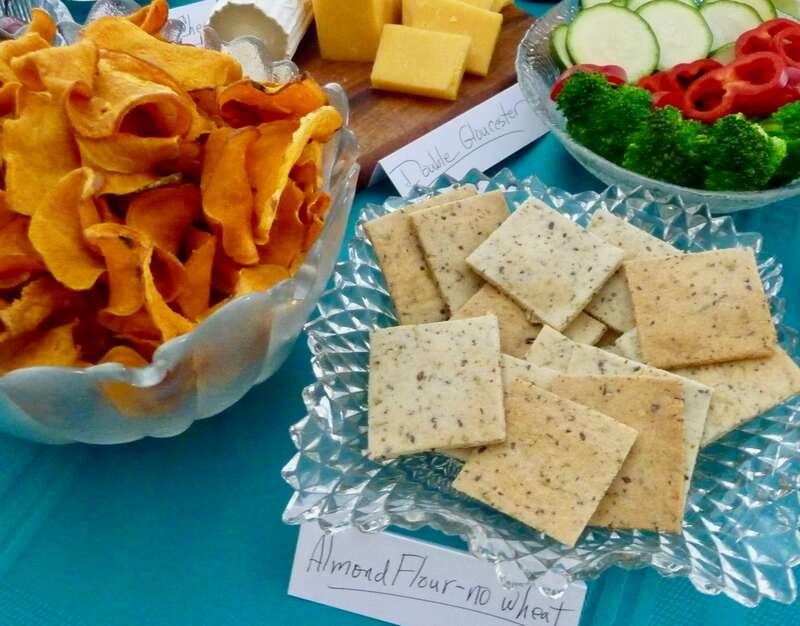 These Rosemary Crackers use almond flour instead of grain. This flatbread recipe is good even without the toppings. It’s made with almond flour and a bit of arrowroot powder (buy in a natural foods store). Use water if you don’t have almond milk. If you want a crisp-bread, cut the flatbread into bit-size pieces and leave uncovered at room temperature overnight. Since these are made with nut flour, tent cards are in order. Some sort of chips are also good…and easy. Look for chips that have been minimally processed. The veggie chips in the photo are sweet potato, but you can also get beet and mixed versions. All of them add a pop of colour. Vegetables also work for dipping. The Lemony Herb Dip recipe suggests surrounding it with carrots, steamed green beans, radishes, grape tomatoes, snow peas, lightly steamed cauliflower, and fresh broccoli. Your paleo, low-carb, grain-free friends might not drink alcohol at all since alcohol is metabolized like sugar. They will also steer clear of punch because fruit juice is a big sugar hit. Chilled sparkling mineral water is a good option, and a small dish of lemon or lime wedges adds a nice touch. A bottle of cranberry or pomegranate juice allows for making juice spritzers on demand. This also provides a festive option for designated drivers. Dry red wine is a thoughtful offering. The dryness means sugar content is lower than in sweet wines, and red wine is a source of resveratrol, an antioxidant that helps control inflammation. If you want to geek out on super-healthy wine production, listen to Episode 146 of the Cellular Healing Podcast. If wine is organic, that’s a bonus to the health-conscious. And it’s not as pricey as you might think. 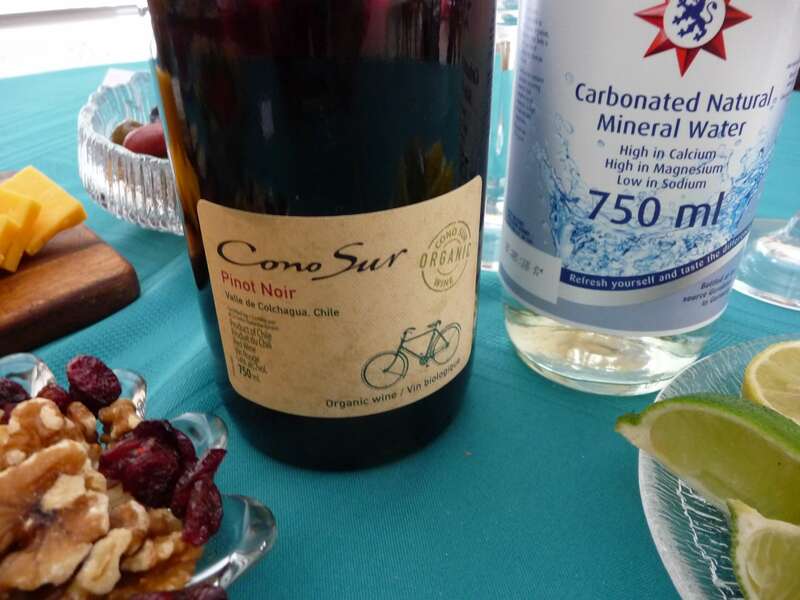 The Pinot Noir in the photo is from Chile and costs only $16 CAD. I love that it’s organic, and that they have a philosophy of care for all aspects of production, including their workers and environment. I’m very happy to support that kind of business. This entry was posted in Understanding the Playing Field, Information, Action & Being Resourceful, All Posts—newest first and tagged vegan, vegetarian, paleo, low-carb, grain-free, celiac, party host, allergies, sensitivities, gluten-free, party strategies, food options for special diets, Happy New Year, recipes by Laurana Rayne. Bookmark the permalink.